Did you ever wonder why unsuccessful candidates merely "suspend" their campaigns after losing a key primary instead of terminating them? Surely all those candidates know that it's impossible to restart a presidential campaign once it's been suspended. In the famous words of Theodore Roosevelt's daughter Alice Longworth, "You can't make a souffle rise twice." The 2016 Republican presidential primaries yielded one "presumptive" nominee, Donald J. Trump, plus 16 candidates whose presidential campaigns were "suspended" but could remain in business for many more years. What's the future for a "suspended" presidential campaign? In the case of three Republican also-rans, the answer arrived in my mail last week in the form of a solicitation to support something called the Convention of States. Former candidates Mike Huckabee, Marco Rubio and Bobby Jindal have all endorsed that project, along with former Senator Tom Coburn, and a couple of conservative talk radio hosts. The Convention of States is actually the same old con, or con con (constitutional convention), dressed up with a new slogan. Its goal is to activate a never-used procedure whereby Congress can call a convention for proposing amendments to the U.S. Constitution. According to the letter I received, the convention would propose a series of amendments to "limit the authority and jurisdiction of the federal government." Since that was precisely the purpose of the wonderful Constitution we already have, why should we expect that some brand new language would do a better job than the most brilliant political thinkers in American history? The deception of the appeal for a "convention of states" lies first of all in the name of the project. If you open your pocket Constitution, it's easy to see that the convention authorized by Article V would not be a "convention of states" in any sense of the word. States can send petitions asking Congress to call a convention, but only Congress can decide what petitions are effective to trigger calling a convention. Only Congress can decide how delegates would be elected or selected, how the voting power would be apportioned among the states, what rules would govern the convention, who would preside, and who would pay all the costs. Article V of the Constitution has only 22 words about a convention for proposing amendments, but the most important is the word "call." Since only Congress can "call" the convention, it means that states have no control over who can be a delegate, who makes the rules, who sets the agenda, or who wields the gavel. To prove the power of the call, read for yourself the official call for this year's Republican and Democratic National Conventions, plus all the state and local party conventions being held this spring. Each of these calls is an elaborate document of many pages setting forth the rules, procedures, and eligibility for all persons wishing to participate. The presidential campaigns that support a Convention of States are headed by two former governors and one absentee Senator (Rubio) who did not seek reelection and will soon be out of office. All three former officials may see their political future in promoting the unprecedented circus of a convention to draft amendments to our Constitution. Another presidential also-ran, Senator Ted Cruz, has endorsed a different route to a constitutional convention, the version sponsored by the Balanced Budget Amendment Task Force. When he was campaigning in Iowa, Cruz said that "we need quite a few constitutional amendments," referring to some of the same ideas as the Convention of States. Some conservatives assume that a constitutional convention would propose only conservative ideas like a balanced budget. It never occurs to them that Bernie Sanders supporters would show up to demand constitutional amendments requiring the taxpayers to pay for free college and other free stuff for everyone. Less than a year before his untimely death, the late, great Justice Antonin Scalia called it a "horrible idea" to call a convention for proposing constitutional amendments. "Once you get those people together, you never know what they're going to do. You'll get everything but the kitchen sink written into the Constitution." The unsolicited letter promoting the Convention of States concluded by asking me to contact my Missouri state legislators, even providing their names and telephone numbers at the state capitol. Fortunately, the appeal came too late; the legislature adjourned May 13 without passing the COS resolution, so that bad idea is dead for another year in Missouri and the legislators' telephones will not be answered. 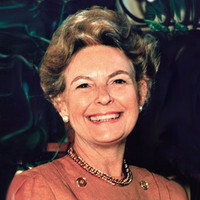 Phyllis Schlafly is a lawyer, conservative political analyst and author. Her most recent books are "Who Killed the American Family?" and the 50th anniversary edition of "A Choice Not An Echo." She can be contacted by email at [email protected] To find out more about Phyllis Schlafly and read features by other Creators Syndicate writers and cartoonists, visit the Creators Syndicate website at www.creators.com.